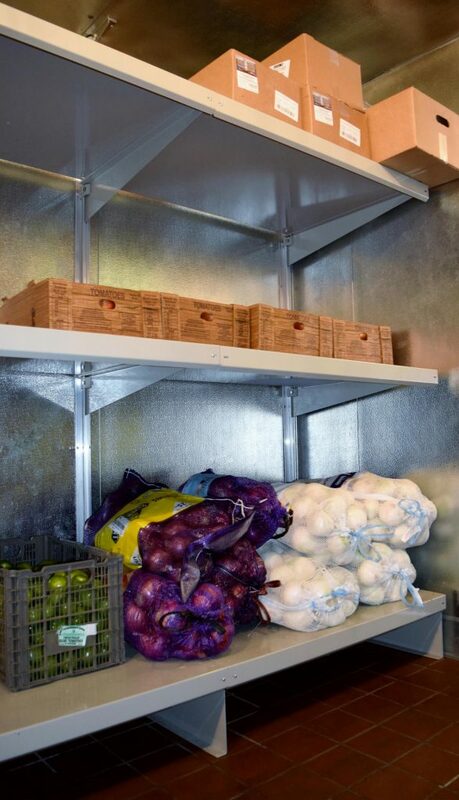 Heavy-Duty Walk-In Cooler Shelving ⋆ Shelving Systems by E-Z Shelving Systems, Inc.
Taco Nazo is one of the original fish taco restaurants in Southern California. For the made-from-scratch items on its menu the restaurant processes hundreds of tons of fresh produce every year. To prepare for an expansion of its Bellflower, CA location the restaurant operators purchased a 20′ x 10′ walk-in cooler. They called E-Z Shelving to provide heavy-duty walk-in cooler shelving to handle the expected increase in volume. 30-inch depth shelves yield 310 lbs recommends loading per three-foot section. Among the ingredients in its fresh entrees, salsas, and drinks, Taco Nazo purchases potatoes, onions, tomatoes, chile peppers, and tamarind in bulk boxes and bags weighing up to 50 lbs each. 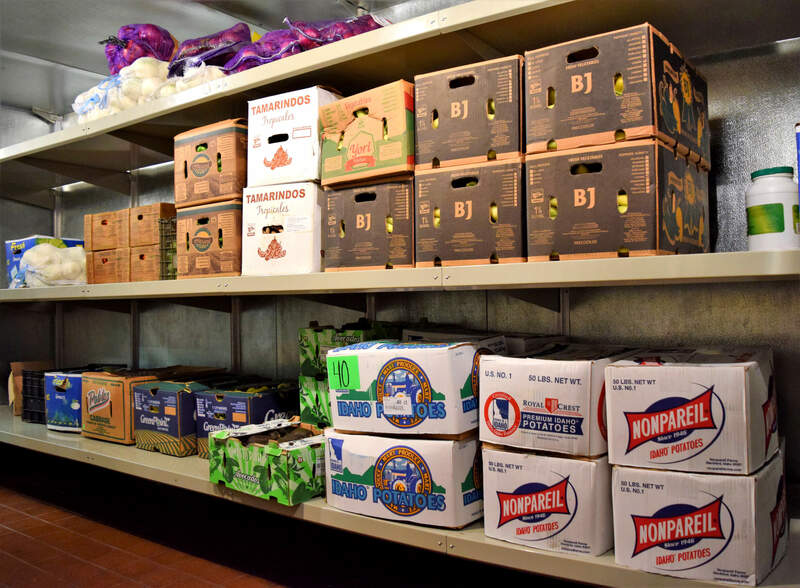 While many restaurants request shelves of 18” or 24” depth, the operators of Taco Nazo wanted to maximize the available storage space to accommodate their largest deliveries. They ordered wall-to-wall, floor-to-ceiling, 30” depth wall-mounted shelving for three walls of the cooler. Foot brackets can handle the heaviest items, including kegs. A major component of the Taco Nazo expansion is a large, new upscale-casual dining area where customers can enjoy draft beer. For keg storage E-Z incorporated “foot” brackets on one side of the walk-in. “E-Z Shelving’s standard brackets have enough load capacity to handle kegs, but customers should consider foot brackets for shelf tiers installed near the floor. 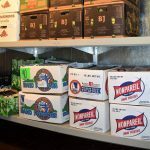 They provide an extra measure of support if an employee ever steps on a fully loaded shelf,” said Parmiter. Next time you’re in Southern California be sure to visit taconazo.com to find the nearest location. Baja-style fish tacos are a unique local experience, and nobody makes them better, with fresher ingredients, than Taco Nazo. How did you discover E-Z Shelving?